Calvary Academy is happy to announce that it will be celebrating its Jubilee 40th school year in 2018/19. We are a multi-denominational Christian School registered with the New Jersey State Education Department and are fully accredited by Middle States Association of Colleges and Schools, as well as the Association of Christian Schools International. Calvary Academy serves Ocean County and Monmouth County in NJ, and teaches Pre-K (3 & 4 year olds), and full day Kindergarten through 12th grade. We continue to grow and will be adding a Child Development Center, serving 24 months and over in the 2018/19 school year. Calvary Academy is also certified to provide education to International Students, and currently has students from China, South Korea, Spain and Vietnam enrolled. We continually perform above the national average in SAT scores as well as on TerraNova 3 Standardized Tests. Calvary Academy provides students with a journey. Each journey is different. How you "get there" defines who you are. Students at Calvary Academy develop their own ideas, explore diverse perspectives, and embrace their Christianity. All full-time faculty hold Bachelor Degrees at a minimum and some have more advanced degrees. Curriculum meets or exceeds NJ Department of Education guidelines. Biblical truths are integrated within the curriculum through every grade, which enables our students to understand their world from a Christian Worldview perspective. Participation in Bible instruction and service opportunities, considered critical aspects of discipleship training, promotes Christian maturity as our students develop a sense of commitment to the broader community. The first step towards academic excellence is a solid educational experience. 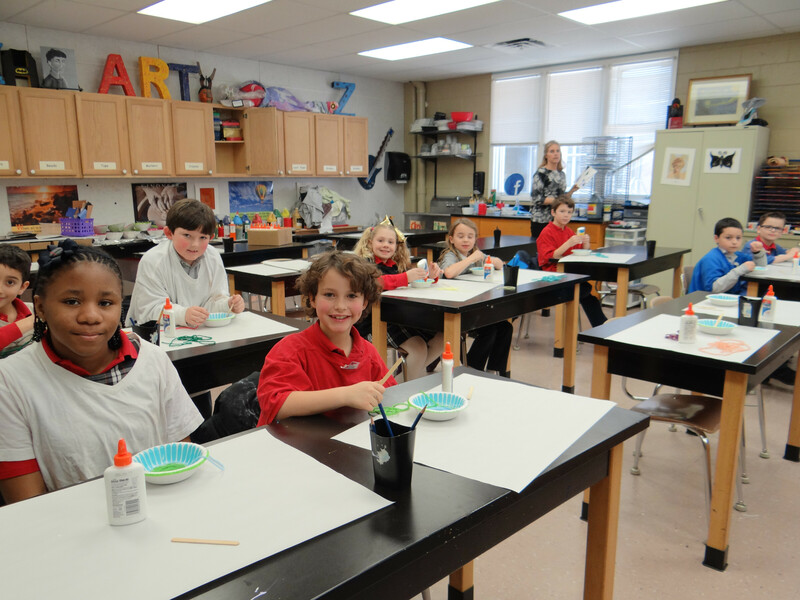 Calvary Academy offers elementary students a strong academic foundation that prepares them for our college-preparatory high school. All students are challenged to reach their God-given potential, to strive for excellence in all they do through the integration of faith and learning. Students excel academically through a traditional curriculum integrated with current teaching techniques such as cooperative learning experiences and technology, including our 1:1 computer program in direct cooperation with Microsoft. Within these strategies our Christian teachers promote a positive learning environment. Dual Enrollment college credit classes are available, allowing students to already have earned college credits as they enter college. Our students are accepted to prestigious Christian, private, and public institutions, including universities like Stanford University & Princeton University. The highest level of scholarships are awarded to our students. The 2017 Graduating class alone received over $750,000 in scholarships! Many clubs and extra-curricular activities are available at all levels, including the National Honor Society, and competitive sports for 5th-12th grade in Soccer, Volleyball, Basketball, Cheerleading, Baseball, Softball, Bowling and Track. Calvary Academy, a place of academic excellence, where spiritual maturity and relationships are developed, and friendships are forged for a lifetime. Calvary Academy, established in 1978, will be celebrating its Jubilee 40th school year in 2018/19. It is a multi-denominational Christian School registered with the New Jersey State Education Department and is a member of the Association of Christian Schools International, teaching PK (3 & 4 year olds) - 12th grade, adding a Child Development Center serving 24 months and over in the 2018/19 school year. Calvary Academy is fully accredited by the Association of Christian Schools International (ACSI) and by Middle States Association of Colleges and Schools. Calvary Academy is certified to provide education to International Students, and currently has students from China, South Korea, Spain and Vietnam enrolled. All full-time faculty are highly qualified certified teachers, holding Bachelor Degrees at a minimum, and some have a Doctorate or Master's Degree, or are currently in the process of pursuing it. Teachers have an average 10 years of teaching experience. All faculty are required to continually earn CEU's towards their certifications. Curriculum meets or exceeds NJ Department of Education guidelines. AP classes and Dual Enrollment college credit classes available, allowing students to already have college credits as they enter college. 90 percent of 2017 Calvary Academy graduates enrolled in college or military service and 10% entered the work force. Our students are accepted to prestigious Christian, private, and public institutions including colleges like Stanford & Princeton University. The highest level of scholarships are awarded to our students. Many clubs and extra-curricular activities are available at all levels, and competitive sports for 5th-12th grade in Soccer, Volleyball, Basketball, Cheerleading, Baseball, Softball, Bowling and Track. Real faith; real ministry – students have many opportunities to grow in their relationship with Jesus Christ and build character through Calvary Academy’s dynamic learning atmosphere while serving communities near and abroad.